The day after a wonderful Thanksgiving spent with our fellow teachers and a few new friends, Danielle and I indulged ourselves with this delicious sandwich. 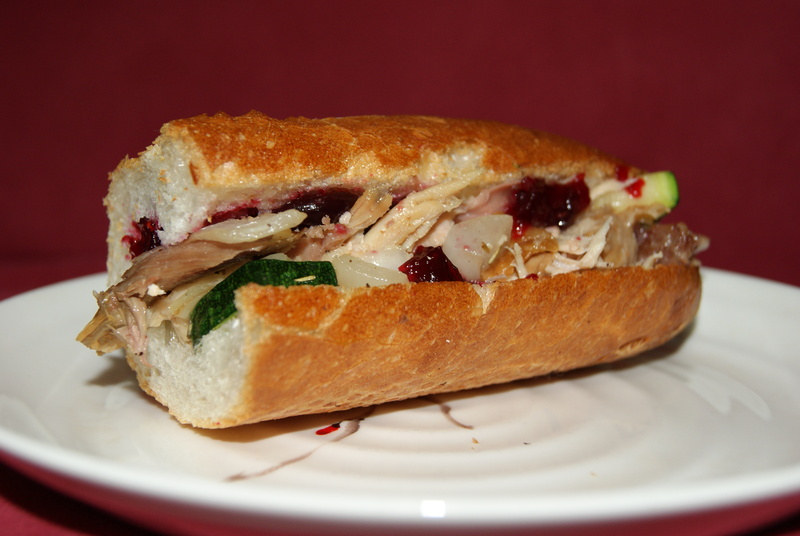 We bought a baguette at a local “patisserie” and filled it with leftover turkey and cranberry sauce. Then we added some sauted onions and zucchini. The result…mmmmm.